Are you staying outside India and having properties or non-property transactions in India? You can not come to India every now and then to complete your transactions? Then you need to entrust someone who stays in India to do that for you on your behalf. In such situations all you need to do is to create a General Power of Attorney (GPA) deed in favour of a sincere and trustworthy person. You need not come to India to create the GPA deed. You can do it from whichever country you are living in. You can also make a Special Power Attorney that deals with ONLY one property or transaction. 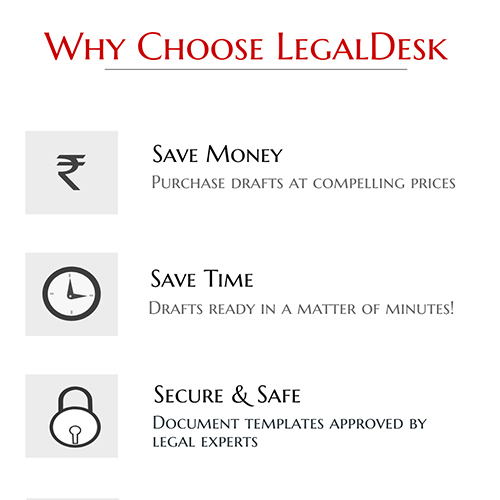 Draft the Power of Attorney deed online or hire a lawyer in India to draft it for you. Get the deed attested by the Indian embassy or consulate in that country. Any Notary from there can also attest it. The person making the deed, the Grantor, should sign the deed in all pages. This attested deed should be sent to a known person in Indian address by registered post or courier. Finally the person to whom the deed is sent should get it registered from the local Sub-Registrar office or Sub-Divisional Magistrate office in India, by paying the appropriate registration charges applicable in that State. Do you Need a GPA or Special Power of Attorney? If you want to make a Power of Attorney, you need to first understand whether the power to be given to the Attorney is for general purpose or for any one particular of specific purpose. If you wish to give all the rights for all your properties or all the rights for one property or all rights of banking etc. you should create general power of attorney or commonly termed as GPA. Grantor’s Details– The name, age, foreign address, Indian address and occupation of the person making the deed should be mentioned first. Attorney’s Details– The name, age, address, father’s name and occupation of the person in whose favour the deed has been made should be mentioned. Reason for the POA– You have to state why you are making this deed and for what purpose. For eg. To buy or sell or rent out your properties in India, since you are staying abroad etc. Date of Commencement You should clearly mention when the POA comes into force. Signature– The Grantor has to sign in all the pages and also in the last page. The Deed has to be made on a plain paper and attested in the Indian Embassy or by a Notary from that country. The Grantor should place his/her signature in all pages. The deed should be sent by registered post to an Indian address in the name of a known person. 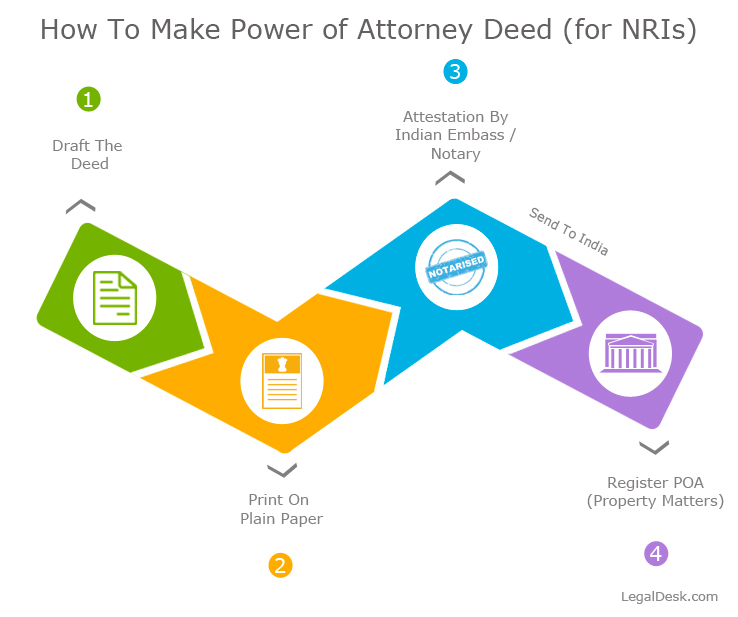 The person in India to whom the deed is sent should get the deed registered in the Sub-Registrar office in the area where property is situated or the place of residence. The person making the deed should be mentally capable of making the deed. A mentally unsound person cannot make a Power of Attorney deed. The person living outside India should provide the residential address in the foreign country. The deed has to be sent to India to a known person who is mentally capable of getting it registered and enforced. Never give the powers to transact with your property to any untrustworthy person. They may misuse the powers and make things miserable for you. Since granting powers to the Attorney means that whatever the Attorney does within the scope of the powers is binding on you, you cannot undo anything that was done by the Attorney within the scope of the powers granted to him. Are you an NRI? Do you have properties in India? Or do you have banking transactions or any other financial transactions in India? And are you not able to personally attend to such transactions in India? Don’t worry, You can just relax at your home and still have all your overseas transactions happening. Create a General Power of Attorney in favour of any trustworthy person in India and hand over the responsibilities to that person. Now you don’t need to go searching for lawyer for this purpose. You can start making your own Power of Attorney document online. Within a few minutes your General Power of Attorney deed will be ready. You can download and print it on a plain paper, attest it there and send it to India. We will also help with registrations in India if required.